Bray Wyatt attacked Randy Orton backstage, stomping on his ankle. A referee tried to pull him off. In the ring, The Eater of Worlds demanded that the injured Orton be counted out, giving Wyatt the forfeit win. Kane emerged as his replacement opponent. 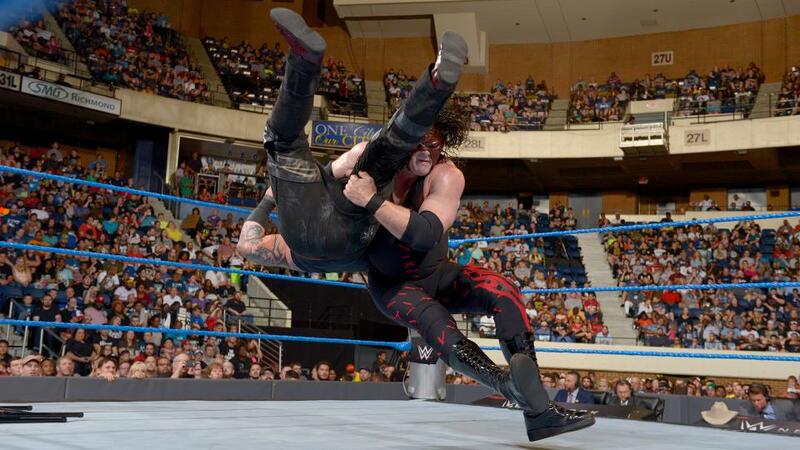 Kane battered Wyatt in the opening moments of the contest. Wyatt evened things up by bringing in a steel chair. The villain then leaped on Kane, crashing through an announcer's table. Orton later appeared. He hit Wyatt with an RKO to allow Kane to get the pin.